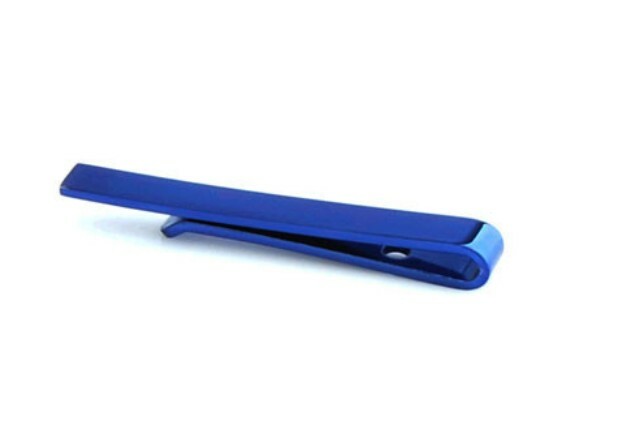 "Designer Tie Clip Blue by English Fashion Design. Mighty Good Man, timeless gentlemans fashion. Free shipping from 2 items ordered | rated 9.0 by our customers"
Small tie clip for your skinny ties or as a smaal clip on a larger tie, a style you see more and more on the catwalks and as streetstyle. Snelle levering, mooie collectie en scherpe prijsstelling.